Originally published in 1970, and long considered a lost cult classic, this searing account of life as a heroin addict on the hard streets of Harlem remains absolutely unforgettable. Blueschild Baby takes place during the summer of 1967—the summer of race riots all across the nation; the Summer of Love in the Haight Ashbury; the summer of Marines dying near Con Thien, across the world in Vietnam—but the novel illuminates the contours of a more private hell: the angry desperation of a heroin addict who returns to his home in Harlem after being in prison. 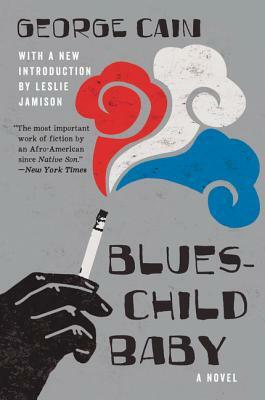 First published in 1970, this frankly autobiographical novel was a revelation, a stunning depiction of a marginal figure, marked literally and figuratively by his drug addiction and navigating a predatory underground of junkies and hustlers—and named George Cain, like his author. Now with a new preface by acclaimed writer Leslie Jamison, this is an unvarnished conjuring of the tyranny of dependence: its desperation, its degradation, its rage and rebellion; the fragile, unsettled, occasional shards of hope it permits; the strange joys of being alive and young and lost and hooked and full of feverish determination anyway. George Cain was born in New York in 1943. He entered Iona College on scholarship but left in his junior year to travel, spending time in California, Mexico, and Texas. He started writing in 1966. Blueschild Baby was his only book. He died in New York in 2010.